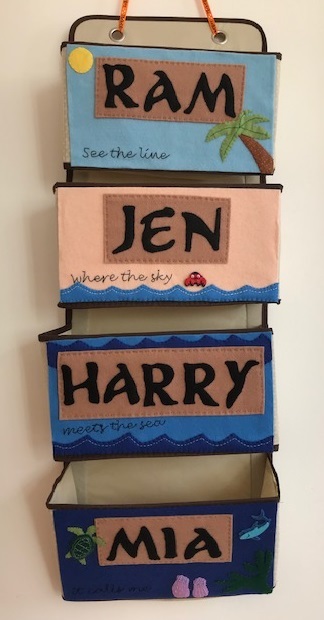 Jennifer's Little World blog - Parenting, craft and travel: Is crafting with children about the process or the product? Is crafting with children about the process or the product? When I started crafting with Harry I believed that the process of making something was much more important than the finished product. I have this book - Art Experiences for Toddlers and Twos - which I fully recommend and which very much lays the emphasis on the process of creating. I would hand Harry a glue stick and some bits of paper, or a paintbrush and sponge and a dollop of paint, and let him get on with it. I also very much wanted to let him get on with it by himself. I didn't want to interfere in any way, or steer him towards something that was more my idea than his. This was all very well when he was tiny, but now that he's bigger I've found out that it's not the best way for us to do crafts together. He gets bored quickly if he doesn't have any direction, and if I give him the pieces to put together something recognisable he is much more satisfied with the finished product. He also doesn't like working by himself, he likes it if I make something at the same time, or even better if we work on something together. This does mean that I'm having much more fun getting involved in something with him, rather than watching him to see what he does by himself (which, let's face it, wasn't usually anything that brilliant). But now that I've changed my opinion a bit I've found that my natural perfectionist tendencies have come to the fore. Before I was happy with a piece of paper covered with splodges, now if we make something together I want it to look nice. Previously I would let him paint a toilet roll however he liked, now I go back over it and fill in the gaps that he's missed so that it looks neater. Do you interfere with your child's crafts so that they look better? Or are you able to just sit back and let them do it their way? It's true that usually when we are making things together I intend to blog about them, and so I do want them to look nice for the photos. I try to stay away from detailed tutorials though, because as you say you end up photographing each part and never getting properly involved with the activity. I tend to just stick up a photograph with the materials and brief instructions and let people work it out for themselves! Oh I am terrible for throwing a little strop myself when crafts don't go as I had planned! It is very hard for me not to interfere! I know, and I also get cross when I really want to make something and the little one isn't in the mood and wants to do something else! If we are making a gift for someone I do tend to interfere. Apart from that I really don't I am a great believer in filling the table with cardboard boxes, glitter, glue, paper, etc and just letting them go for it. Thats probably why there is rarely any children's crafts on my blog, they are all a sight! I do think when they are as young as yours you do need to influence things a bit until they develop a flair for crafts and making. Yes I think that Harry does need some direction and a suggestion for what to do. I hope to develop in him the ability to just grab bits and pieces and put something together himself.